Golf Carts Are Great for the Entire Family! Golf carts can be an immense joy for every single person (even the fuzzy “people”) in your family. 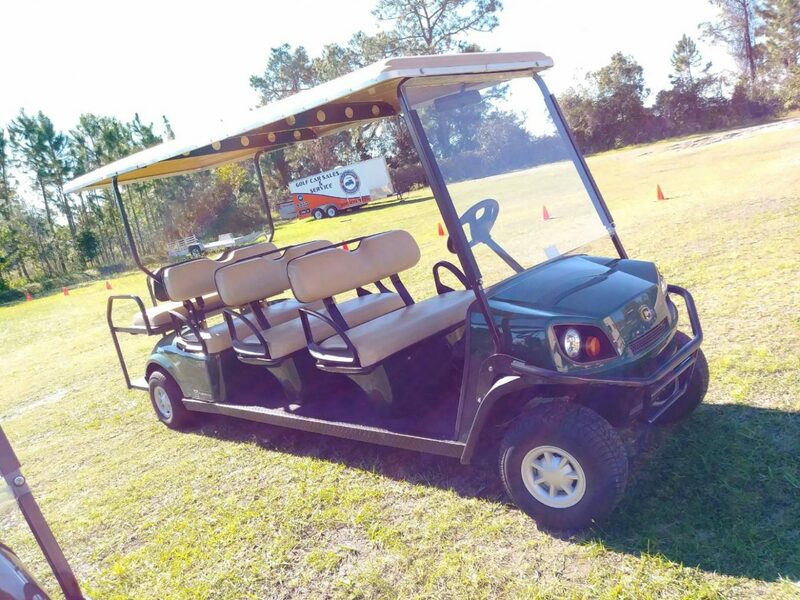 Of course, golf carts can always be used to make golfing even more enjoyable, but they are also a fun, open-air transportation option for those who live in small towns and local neighborhoods. Because they are open, they can add a level of social interaction that you just don’t get when you drive around in a car. They also make it much easier to get around in rural areas or on large properties. Golf carts are not just fun for adults. They are great for kids. Golf carts are particularly terrific for people with small children because they don’t go very fast. They run typically around 20 miles per hour and they can be outfitted with seatbelts and other safety gear. A golf cart ride is a safe, excellent way to spend quality time with your kids. Take a quick jaunt down to the nearby athletic field to catch a t-ball game, or run it up the street to pick up some of their friends! Golf cars are also easy to operate. So, when your kids get a little older, your golf car can help you teach them driving skills in a safe, supervised, off-road manner….before they get behind the wheel of a car. They also help keep seniors safe and help to increase their independence. Golf carts are a wonderful solution for those who can no longer drive or simply don’t feel as comfortable driving. For this population, a golf cart opens up a world that was closed to them. They can pick up items at the convenience store and visit friends or maybe to just get out and “smell the roses.” Golf cars offer a similar solution for those with disabilities who might not be otherwise able to drive. Don’t forget Fido! Dogs love to ride in the car, and golf carts are even better because, in a golf cart, they are totally surrounded by open air and enticing sights and smells. So, whether you are a parent, grandparent, child or pet, buckle up and enjoy the ride!